Packed with current examples, cases, and illustrations, market-leading MANAGING FOR QUALITY AND PERFORMANCE EXCELLENCE, 10e focuses on the fundamental principles of total quality and emphasizes high-performance management practices, such as those reflected in the Baldrige Criteria. 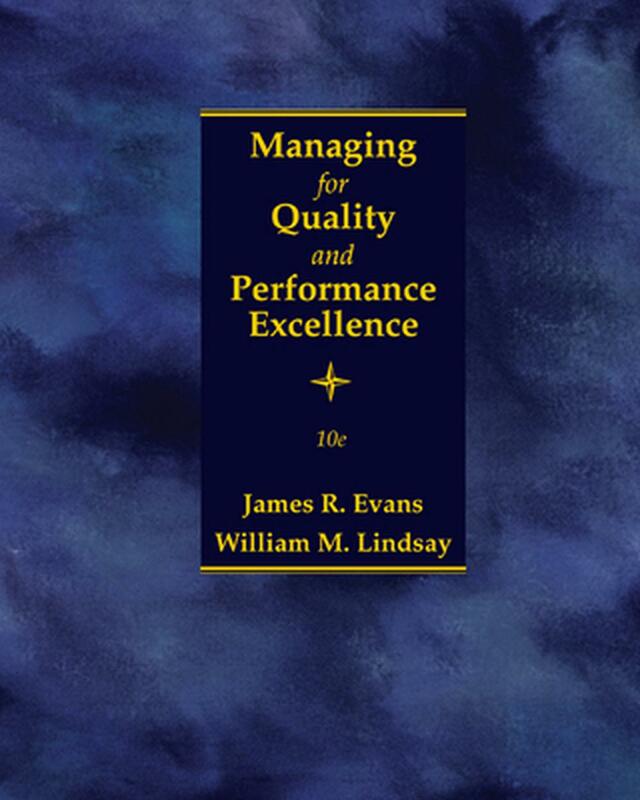 Written by experienced leaders in the fields of performance management and quality, the text delivers the definitive resource for coverage of ISO 9000 certification, Six Sigma, and the U.S. Malcolm Baldrige National Quality Award standards. A wealth of current examples from leading organizations throughout the world reflects quality as they emphasize the practical aspects of the book's managerial focus and pertinent technical topics. You can efficiently prepare to become an ASQ Certified Quality Manager, as this edition covers most of the Body of Knowledge required for ASQ certification. It's everything you need -- now and throughout your career -- to ensure quality management success. Brief Contents. Preface. Part I: PRINCIPLES OF QUALITY MANAGEMENT. Process Focus. Part II: TOOLS AND TECHNIQUES FOR QUALITY. Statistical Methods in Quality Management. Design for Quality and Product Excellence. Process Improvement and Six Sigma. Part III: BEYOND QUALITY MANAGEMENT: MANAGING FOR PERFORMANCE EXCELLENCE. The Baldrige Framework for Performance Excellence. Measurement and Knowledge Management for Performance Excellence. Building and Sustaining Quality and Performance Excellence. Appendixes. Nice book, would buy it again when required.